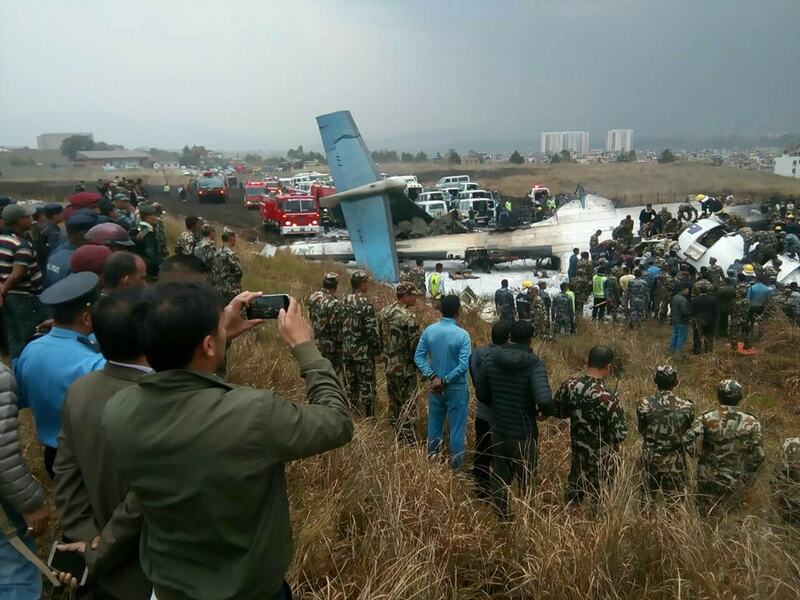 The DHC-8 crashed on approach to Kathmandu Airport following confusion over the landing runway between pilots and the tower controller. 51 of 71 on board did not survive. 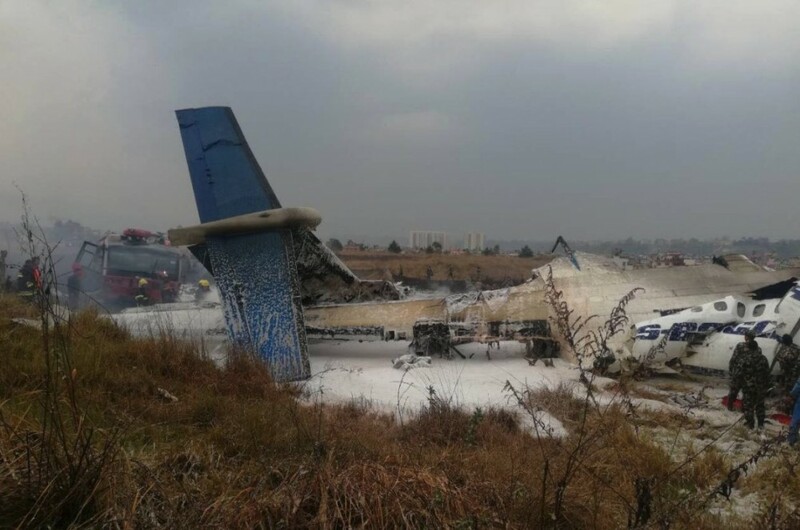 On final approach to runway 02 at Kathmandu-Tribhuvan Intl Airport, the aircraft crashed short of the runway, broke apart and caught fire. 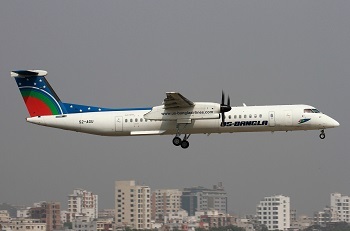 The Dash-8-400 (S2-AGU) was on a regular flight BS211 from Dhaka. At the time there was a light tailwind component of six to seven knots. Landing direction was 02. 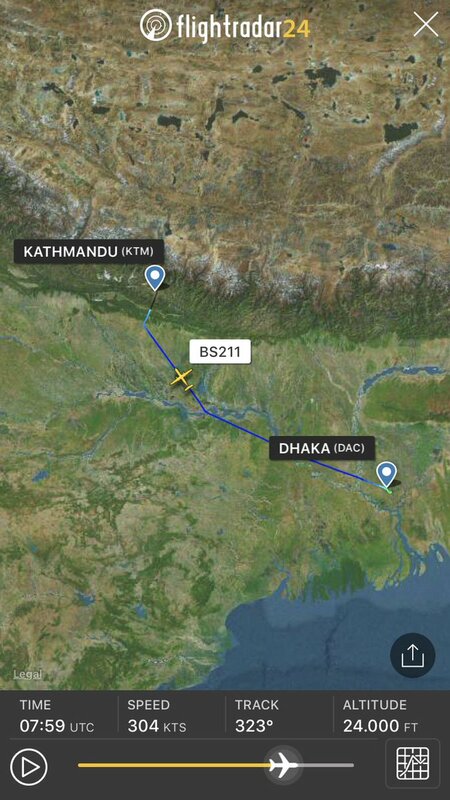 The DHC-8-400 was following a Boeing 737-800 of Jet Airways (Flight JAI266 from Mumbai) that was landing about 3 minutes ahead of SB211 on runway 02. 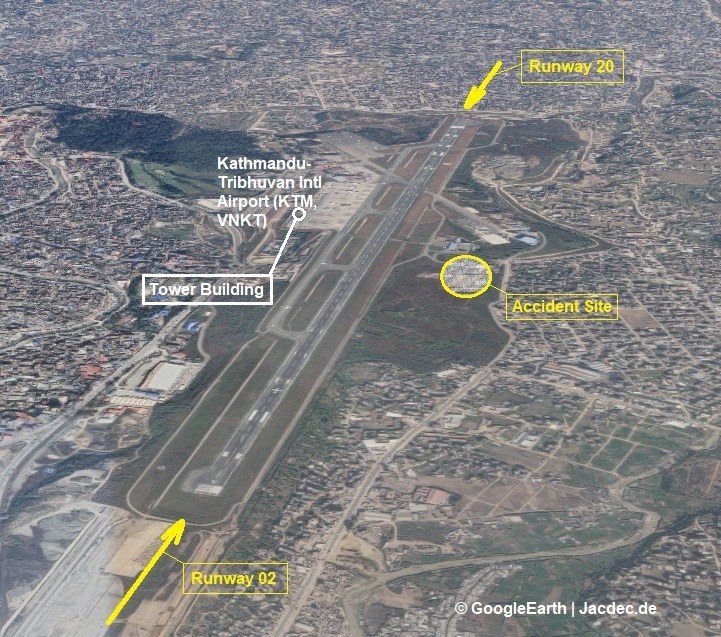 According to transmissions by the Kathmandu tower controller, despite cleared to land on runway 02 the flight began deviating from its course. A series of back-and-forth conversation emerged between the captain and the tower controller (both radio voices switched from female to male) about which runway the flight BS211 was aiming for. Amid much confusion- mostly on the part of the flight crew of BS211- the ultimate landing clearance on runway 02 was received. The crash occurred less them a minute after that. 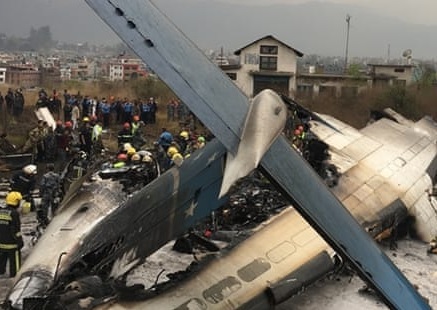 Official media statements proclaimed that a total of 51 people did not survive, among them the entire flight crew and cabin crew of four. About 15 minutes prior the arrival of BS211, the direction of landing has been changed from runway 20 to the opposite runway 02. 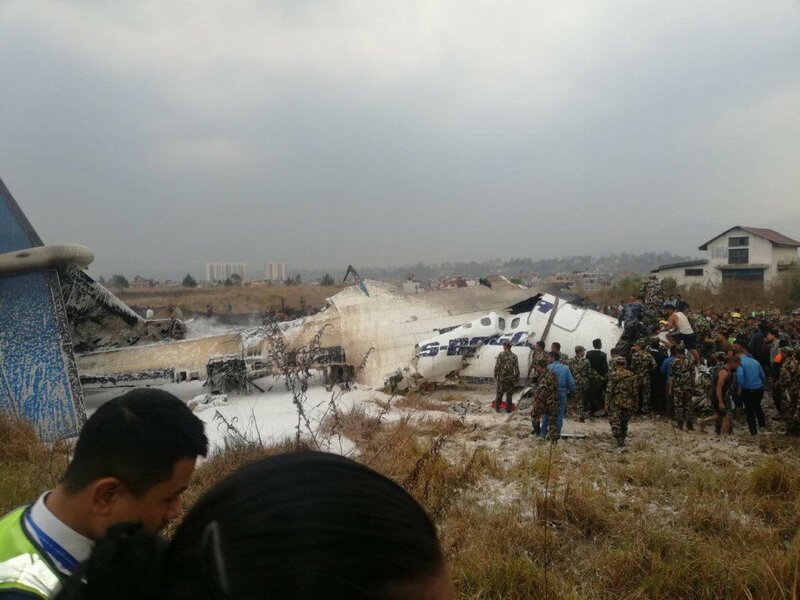 Tribhuvan airport closed for all traffic for 2,5 hours. On Mar 13th, the flight data recorder (FDR) was found and retrieved from the wreckage for decoding and analysis. Tower clears another aircraft (Buddha282) to land on runway 02. Furthermore, the author cannot be held accountable for correctness, completeness or quality of the information provided herein. Liability claims regarding damage caused by the use of any information provided, including any kind of information which is incomplete or incorrect, will, therefore, be rejected.